That’s what I call a zucchini! 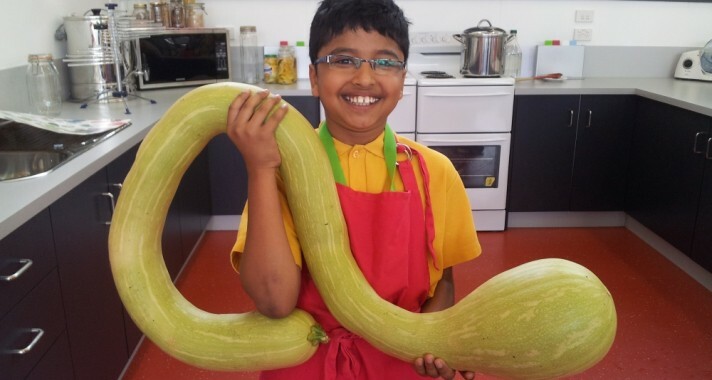 Here is Ali with an enormous smile and an enormous tromboncino zucchini grown in our kitchen garden. Amazing! !